This category includes € 3,000 in prize money sponsored by the host of the animago, DIGITAL PRODUCTION magazine. A total of 856 projects from 51 different countries were submitted to the 2018 animago competition. An independent animago jury consisting of experts in the fields of film, post-production, industrial visualization as well as science and education was responsible for whittling the group down to 36 nominated projects. Following that, the prizewinning productions in a total of ten categories were selected. In the “Best Still” and “Best Feature Film” categories, the winners were chosen by public vote. The awards ceremony formed the festive highlight of the ongoing two-day animago CONFERENCE (25th-26th October), where globally renowned animation experts and VFX luminaries are giving keynote presentations on their current projects and discussing all the latest industry standards, trends and perspectives with over 1,000 participants. Funding partners are the Bavarian State Chancellery as well as the City of Munich’s Culture and Creative Industries Team. The animago is organised by the German-language trade magazine DIGITAL PRODUCTION, www.digitalproduction.com. The publisher of DIGITAL PRODUCTION is DETAIL Business Information GmbH, www.detail-business-information.de. 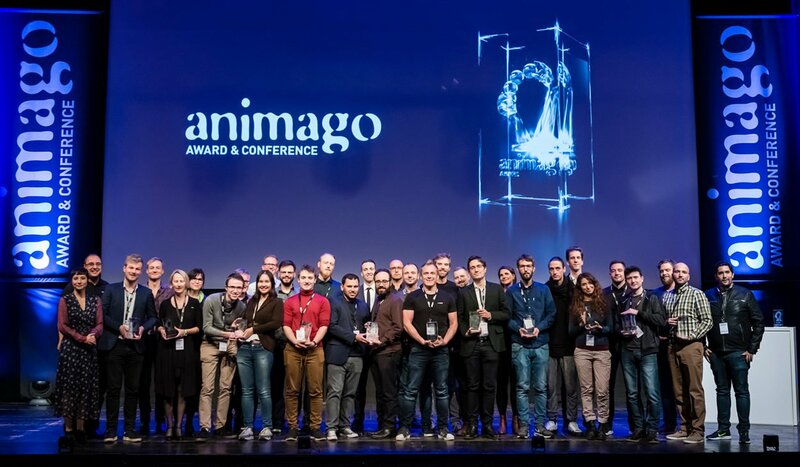 animago AWARD 2019 - Submit now!